Did you ever wanted to easily access data contained in the Steem blockchain and perform analysis or find valuable information. But not everybody has programming skills to gather those data and compute the wanted result. Therefore, I created a publicly available SQL database with all the blockchain data in it. Why use a SQL database? The main advantage having such a database is the fact data are structured and easily accessible from any application able to connect to a SQL Server database. Having a SQL Server database makes it possible to produce quick answers to queries. Simply put, a query is a question. You ask the server form something and it sends back an answer (called the query result set). What was the Steem power down volume during the past six weeks? Which are the top 10 most rewarded post ever? Did I get, me or my posts, mentioned in any post or comment? How many posts are talking about ants? Browsing the blockchain over and over to retrieve and compute such information is time and resource consuming. If you don’t have a local copy of the blockchain, instead of downloading the whole data from some external public node to process it, you will send your query to SteemSQL server and get only the requested information, saving tons of bandwidth. Depending on each transaction type, the associated transaction’s data is stored in the related table. The database has been full text search enabled. This allow fast search of information within post and replies. The SQL server is hosted in a datacenter with 24/7/365 availability. New data from the latest blocks are injected in the database every 10 seconds. The server is currently hosted in a shared infrastructure. I will monitor server load and if it requires more resources, I will allocate any reward to this post to a dedicated infrastructure. the steemit account looks suspended, the service is no longer available? it has moved to a monthly subscription model. Is this database still working ? If yes Then I am not able to connect to server using Sql server management studio. I am able to connect just fine. The database here is not responding!! I'm trying to connect to it from Java code and it says "Communication link failure". Also from comand line I run a ping and none of the packets come back! Why MS SQL server, and not something more open like MySQL or PostgreSQL? The fact the server behind is open or not does not matter to me. The server itself is not open, only the data in it. What's important is to have the required skills to manage it (including its security)and have it available to users's requests. You're free to build your own if you really want an open source server. How did you populate the database to begin with? If you're using the RPC mechanism, after 30 days some data is no longer returned. For example, active_votes is empty for all posts after their second payout. You can even see this on steemit.com where old posts have zero upvotes. this is severely underrated. gave you my full blown 100%. we need this. This is pretty good. I've been trying a few queries, sometimes taking a while. Would you consider adding some indexes on a few 'key' fields, or do you want to keep it like that ? the differences between the graph database and the monolithinc, intransient relational database takes some compilation of data, and new blocks alter records, in ways that can be difficult to adapt, such as if a poster makes a really big edit, and suddenly the datatype has been overflowed. But I think this is a cool idea. It might make a model for moving from a memory heavy graphene database to a storage heavy sql, maybe some sort of hybrid to cache data for faster retrieval or so. 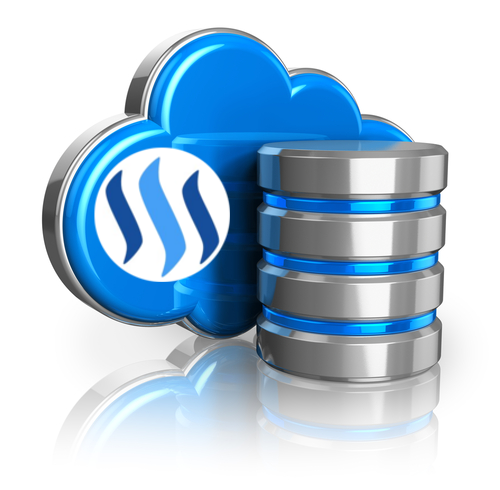 SteemSQL database is a replica of the whole blockchain, not a compilation! This mean if a user edit a post, you will find 2 or more transactions in TxComments with the same author/permlink but with different bodies/titles. 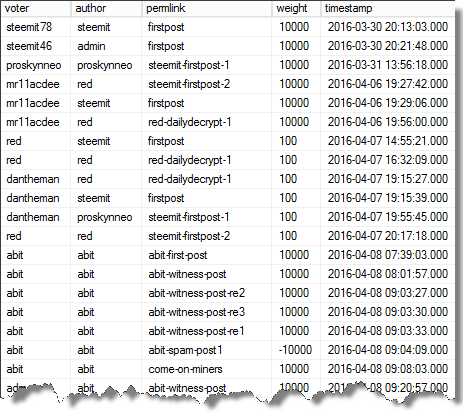 Compilation of data is made at query time. Ah. So it's just another implementation of the graph database protocol, layered on top of a relational database. This isn't a graph database at all, unless I am somehow mistaken. No, it however has to implement one to allow the diff-updates that the platform allows, which essentially is a graph database (like CVS or Git). It just gives you the ability to search using SQL queries which are very concise and neat and easy to write, and with that pull all kinds of higher level data out of it. I think that was the purpose of building it - to allow more people to tinker with analytics. Seriously, Doesn't this defeat the purpose of decentralization? No. The essence of data analysis is collecting (aggregating ) data and making meaningful insights from it, which requires centralization by rule. The decentralized nature of the data isn't in jeopardy here because there are still unlimited copies of the Steemit blockchain out there ensuring that there is no vulnerable, mutable, single-source of the truth. This particular copy just happens to facilitate reporting. Thankyou heaps for doing this! That's exactly the purpose of it: having an efficient alternative to local nodes. As soon as I have some time I will use your steemit database because I am a data fanatic. Thank you for making this available. I am following you now. SQL Server is great - thank you very much for providing this! That could be, as for every service made public. But worth to experiment as it will be a good test for the infrastructure. This one is scaled for a normal usage. The risk is indeed have bad response time if the load is to heavy. Then people writing poor queries might go away as they won't get correct response time. Anyway, I will do my best to educate users on how to perform efficient queries. Argh!!!! I was just trying to build one of these! I'm not sure whether to be upset I spent 2 days trying to make it work or ecstatic that whatever guided me, guided you there first. Congratulations though, you earned my upvote. I'm following you now too! Everything was ready 2 weeks ago, but I wanted to fine tune and check every bit and byte of the infrastructure before releasing it. No worth to publish something if user experience is disappointing. This is a really great thing you have going here! Kudos for setting up a public node and service for the community. I sincerely believe this post should be upvoted like crazy and end with 3 or 4 figures. This does deserve more notice and appreciation. But from me, you've my upvote and follow. Thank you. The load is low at the moment but I already received lot of positive feedback of people wanting to use it. I also wish I could get a few reward for this, not to become rich but to be able to put the server on a dedicated infrastructure with HA and DRS and ensure the best service to the community. SteemSQL has moved to a monthly subscription model and the default free account/password “steemit/steemit” has been disabled. Please visit steemsql.com for more information. Here’s a sad scene for you. About 4 people have read this post I made about 3 days ago: “Can you supply some block-chain data for payment?”. Your post suggests that there must be or than 20 people in the community who might have been alerted to my post, and some would have promptly sent me to your service, which clearly needs to be well supported. New Steemit posts disappear into ‘ether’ 20 minutes, and will turn up on peoples’ Feeds only if they are Following the author! Anyway, I will be trying to use your service soon, and pay suitably. I am experienced programmer; but have not bothered to learn Python and only occasionally use SQL (inside SAS). I will come back when I have done the needed studying. steemsql.com’s server DNS address could not be found. The link in your first reply works. By the way the comma is a known old issue of steemit.com related to link parsing. It's off-topic though. This is awesome! Thank you for your effort. Doesn't this defeat the purpose of decentralization? If there is a central database with all the information on the blockchain, then wouldn't that create a vulnerability? I'm late to the party but I am excited about this as I am learning SQL at work and would love to use that knowledge to understand Steemit better and contribute to the community with that knowledge. Do not hesitate to contact me on steemit.chat if you need any help to create amazing SQL queries. hey, I'm playing with it right now. how I can I see the full architecture of the database? 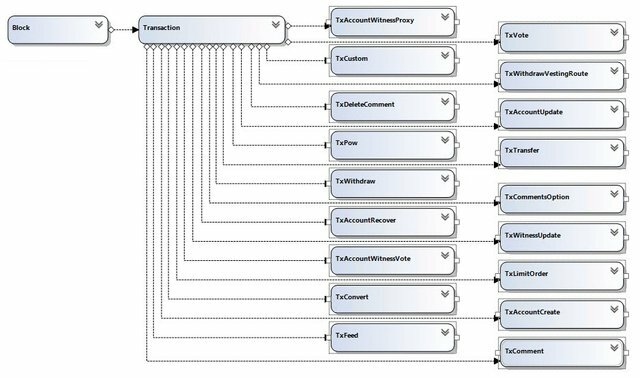 All tables and their relation are shown in the database diagram in this post. This is good. Although I like something like PhpMyAdmin more. What hardware is your service running on? I'm curious about the scalability. The server on a Intel Xeon E5-1650 v2 3.5Ghz 6 cores with 64GB memory, 8TB storage with MegaRAID 9271 Cache 1Go + CacheVault. It can be moved to a VMware HA cluster if required. Hi @arcange. Is this sever offline or no longer available? This is way freaking cool. Man, I fall behind on #dev in steemit.chat by just a couple days and miss amazing gems like this. Well done! Thanks ! Hopefully it will be useful to you. Best of luck! Waiting for any feedback.